Atelier Mona Martins builds, with a lot of work, commitment, quality and professionalism, the materialization of dreams through mascots. 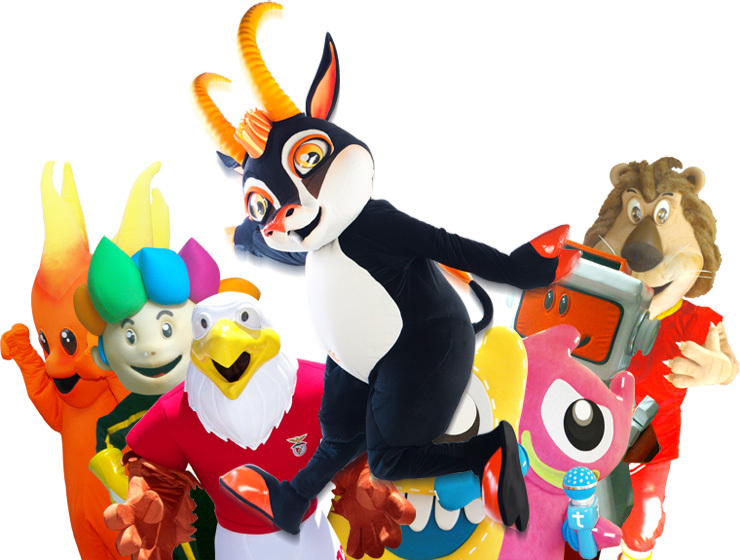 We are specialized in the creation of mascots for all kinds of promotional proposes, social and sporting events, fairs, franchisings, shoppings, parks, restaurants, zoos, aquariums, children entertainment, hotels and tourism, social campaigns and promotional products of any kind or type. We offer a wide range of possibilities in terms of finishings and accessories supplied at the best price/quality/service. Our mascots have a durability and plastic beauty of the highests quality. We understood, after years of experience and work in the creation of mascots, that people create an emotional relationship with a living mascot. This way, your brand will be present in the memory of your target audience, and so it will certanly live forever in their memories! Our work is to create the most sucessfull, perfect and lasting impression of your company, brand, logo, products or concept in the imagination of your audience.